Autumn flowers | Lily Griffiths, Art Floral Paris. Summer is ending and trees undress with warm and golden colours. Hydrangeas begin their metamorphosis. Discover the beautiful colours of flowers in September with garden Roses and Dahlias. Nature is shining under the sun, Maple trees are blushing, and Asters continue to dazzle us as Cyclamens tease us. 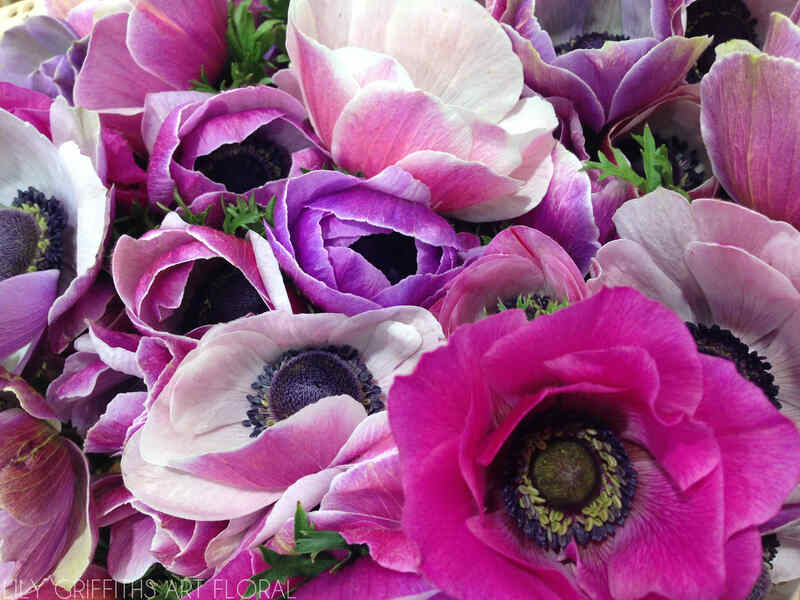 The first Anemones come out to welcome us into the colourful season of Autumn. Enjoy the last Roses of the season before they fall into their deep sleep! Think about planting Hyacinth, Tulips, and Narcissus for next spring!